The extremely robust Z-profile post, the alternative to wooden posts. 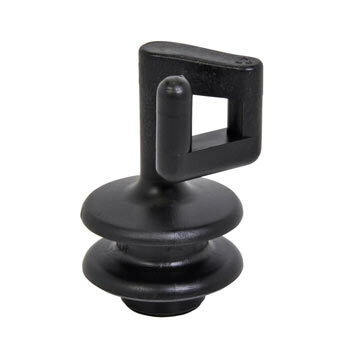 With eyelets for attaching insulators, highly versatile. By buying in bulk, we are able to significantly reduce the price! 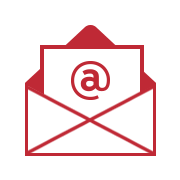 ZPost, now also available in a special offer pack! For approx. 100 m fences, extremely robust, galvanised, durable! Quick and easy to build, can be easily moved. 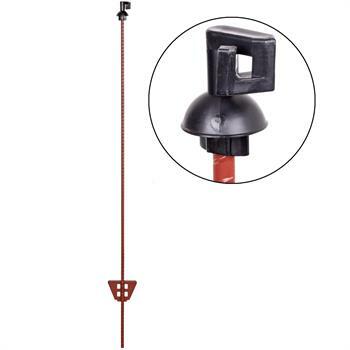 With eyelets for attaching insulators, a perfect fence system from VOSS.farming. If you opt for an electric fence offering particularly high visibility, a wide variety of “mobile” electric fence posts are available. Plastic posts and fibreglass posts are a popular choice, however you can also rely on metal posts for electric fences. 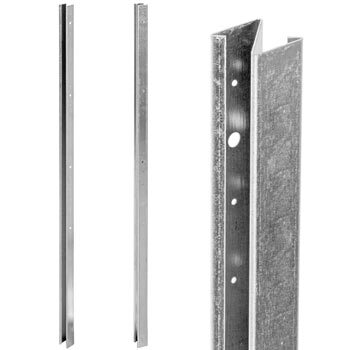 What advantages are offered by metal posts for electric fences? Fixed and mobile electric fences are used for enclosing the widest variety of animals. To begin with, electric netting or electric pet fencing can be used to enclose pets so that they can roam free in the garden or remain protected when travelling. Then there are dog and cat fences which could not be more reliable as they provide two barriers – one mechanical and one electric. The same applies to electric fences for horses, sheep, cattle, goats and pigs. Electric fences used as a defence against wild animals do not have to be connected to the mains power supply. For mobile use or isolated locations, energisers are available with a battery unit or battery set. They supply the electric fence with electricity. This flows through the tape, rope, polywire or wire which act as conducting material. 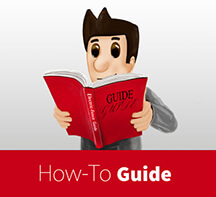 If an animal comes into contact with them, it receives an electric shock and moves away. In the process, it is of course important that the fence remains stable. Therefore, metal posts are partially responsible for the fence’s success. 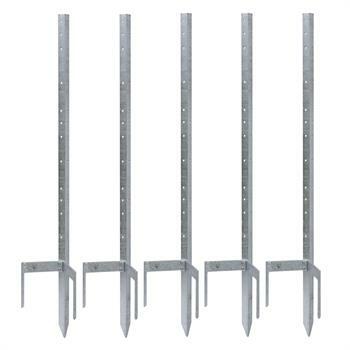 If you wish to invest in tried-and-trusted quality products, you should buy affordable metal posts for your electric fence. 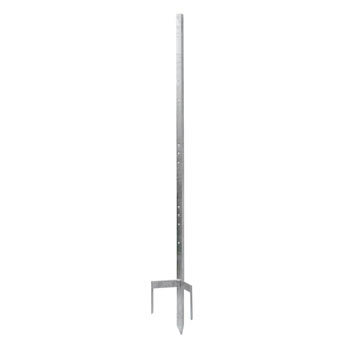 Electric fence posts made from sturdy, hot-dipped galvanised angular steel are extremely wear-resistant. Thanks to their special coating, they are resistant to fire, low temperatures, heat and UV rays. You don’t need to worry about them rusting in damp conditions either. 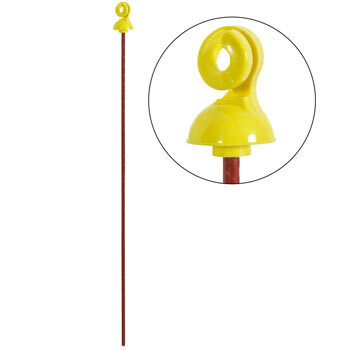 If you opt for an all-round metal post for your mobile electric fence, this can be used for the widest variety of animals, depending on height. Electric fence posts made from metal are suitable for use as corner posts, on gates, at the start of the fence or as a line, tension or winder post. They are robust, stable and durable. 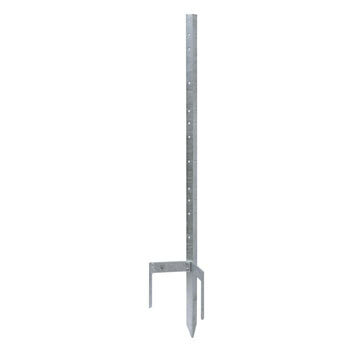 If required, you can order steel rod posts with a stable step plate for easy insertion into the ground. 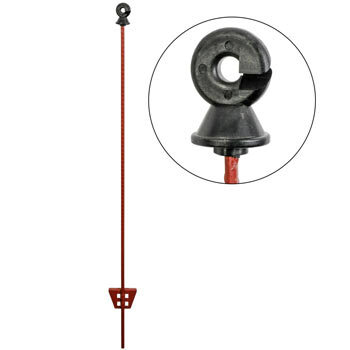 Such a spring steel post also has a head insulator attached. 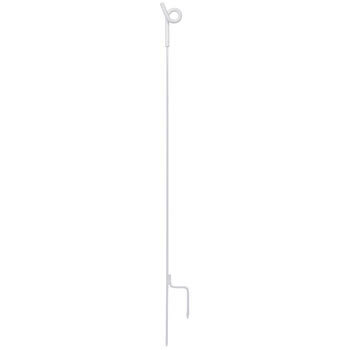 This steel rod post is particularly known for its use as an electric fence post for cattle. 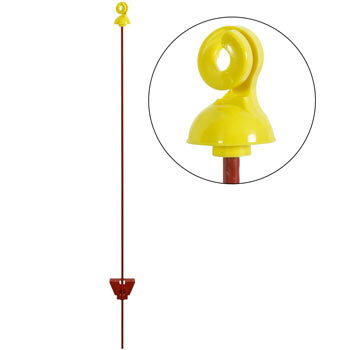 This type of electric fence post can be seen throughout the world and has developed as a standard model for cattle farming.